The thing you will find in common with each of the demo sites is the perfect use of white space and beautiful typography. The demos all use subtle animations too which given them each a nice feel but the animations don’t feel overused. 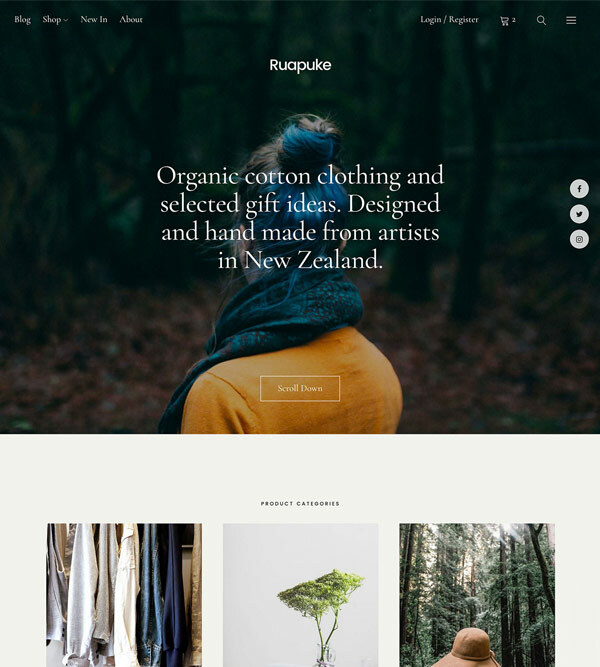 Uku has support for WooCommerce built in and as you would expect, the shop pages look great. 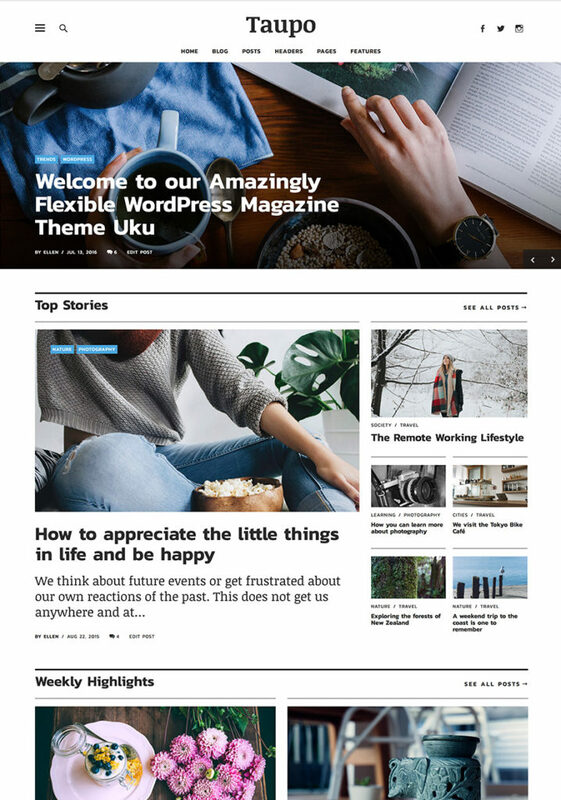 Uku uses the WordPress Customizer to do all the theme customization including setting up the various sections on the homepage and blog. 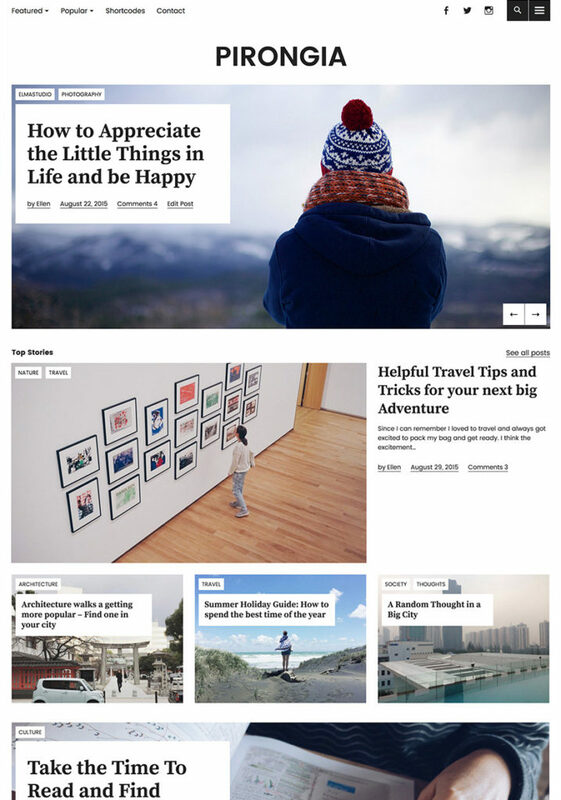 This is a great approach and makes setting up the theme very easy. You currently cant change the order of the sections the theme provides, you just choose what you want in each section available but it’s still a good approach and better than relying on adding complicated pages builders to your theme. Setting up sections on the homepage. Uku comes with good documentation that you can see here and good support through their support forum. 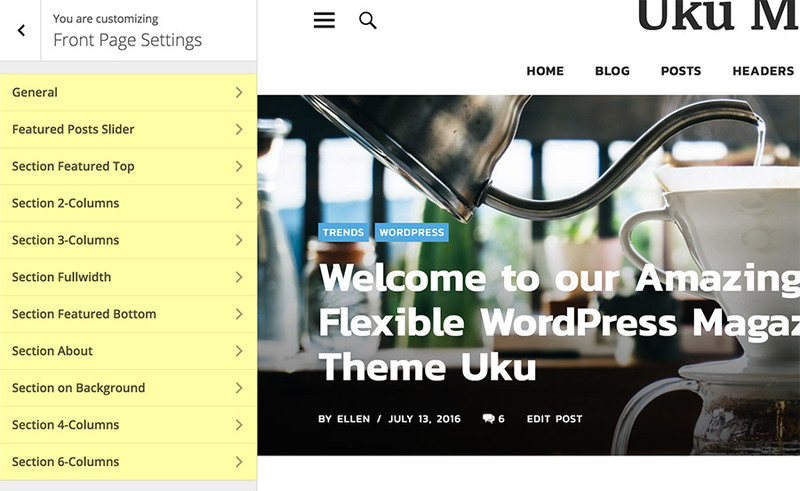 € 18 for the single theme or € 48 for access to the entire collection of 31 WordPress themes.